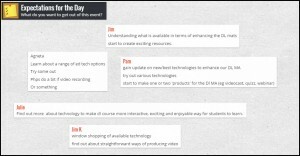 Enhancing DL with Learning Technology. Report on a workshop for the School of Education. I recently ran a day long workshop for the School of Education with Matt Mobbs . It was aimed at using learning technologies to enhance their MA TESOL Distance Learning course. We thought we’d practice what we preach, by using technology to enhance our teaching. 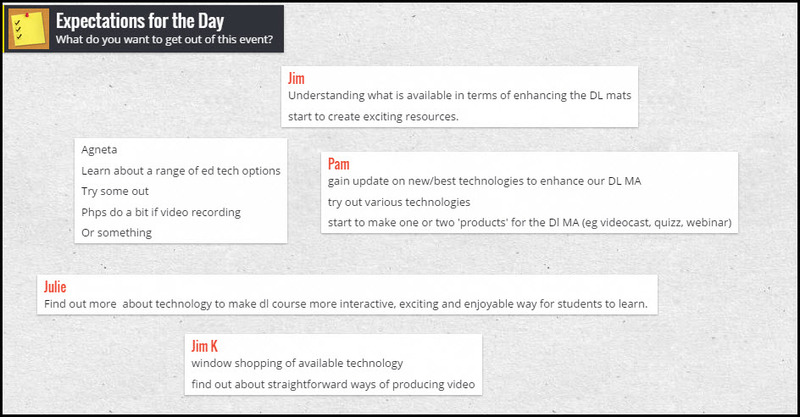 So we started the day with a brainstorming session on participants’ expectations for the day using Padlet. Padlet is free to use web-based collaborative space. Students can add ‘notes’ to the page. It can be used for brainstorming sessions, for asking questions about a topic, or for evaluations of a session (notes can be anonymous). An example below. Click to see a larger version. 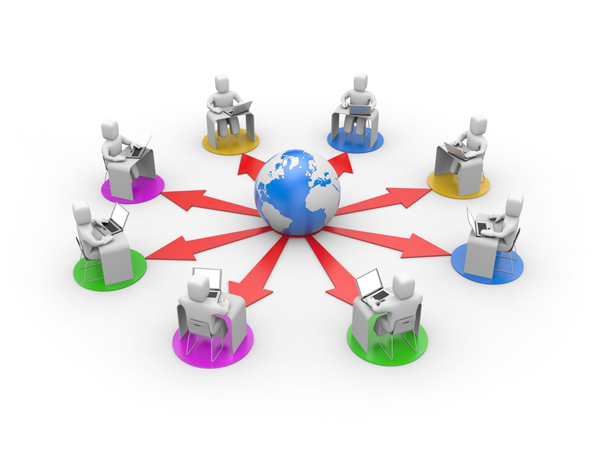 Once we’d established the expectations for the day we used another free online collaborative tool – Lino – to think about what problems needed to be addressed, and how and why technology might help – putting pedagogy before technology. Lino is a sort of online Post-It Notes. You can add images, video, hyperlinks to a note. An example below. Click to see a larger version. Following this the participants were given the opportunity to try out some of the software. For example, creating screencasts with screencast-o-matic, narrated PowerPoint with Adobe Presenter, creating audio files with Audacity. Our participants were able to take lots of new ideas away for consideration and we will follow up with them when they have decided how they would like to put it into practice. This workshop can be made available for any member of College of Social Science staff, and the tools and skills are applicable to any teaching and learning, not just online distance learning. Just contact me via the usual channels.